Complements the Hair Thickening Sprays to help maintain your hair style and seal in your application. The IQ Style Spray is perfect if you are after a superior shine to your hair matched with a strong hold and seal for your hair thickening spray. Along with being perfect for after the application of hair thickening sprays the style spray is formulated with extracts from the Amaranth flower, wheat protein and aloe vera, IQ Style Spray protects the hair and increases shine throughout. 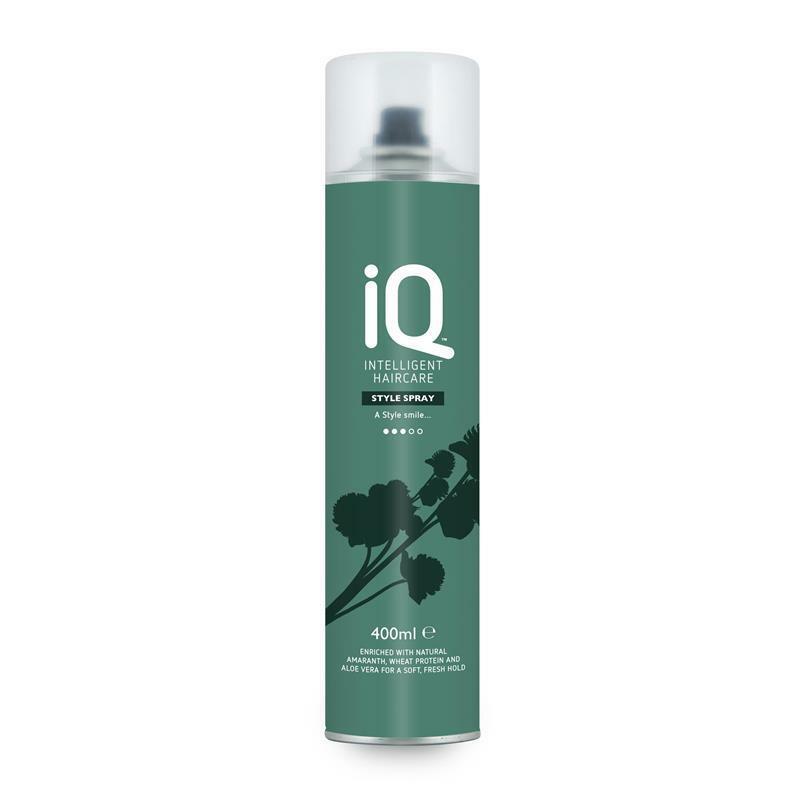 IQ Style Spray is specially formulated to protect cuticles from damage. This superb styling spray is sulphate and paraben free. It is invisible in the hair, but works effectively to create control with strong hold allowing you to style your hair as you choose. This really is the ultimate hair spray for use on all types of hair.